Google Assistant is a handy little feature at most of the time, but it's upping the ante in honor of April Fools' Day this year. 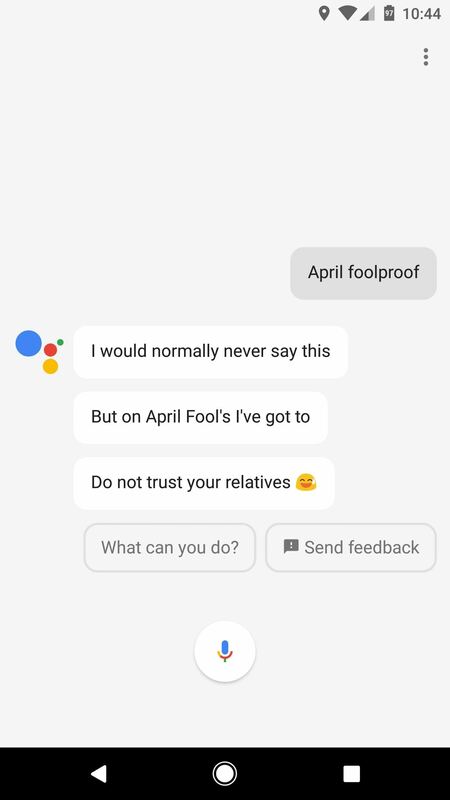 One eagle-eyed Redditor called tenbre noted that the smartphone assistant had added a new command—"April Foolproof"—which was found under the What can you do section in Assistant's options. At the time, speaking this command only caused the Assistant to inform users to "Try that again on April 1st," but it now appears to have gone live. 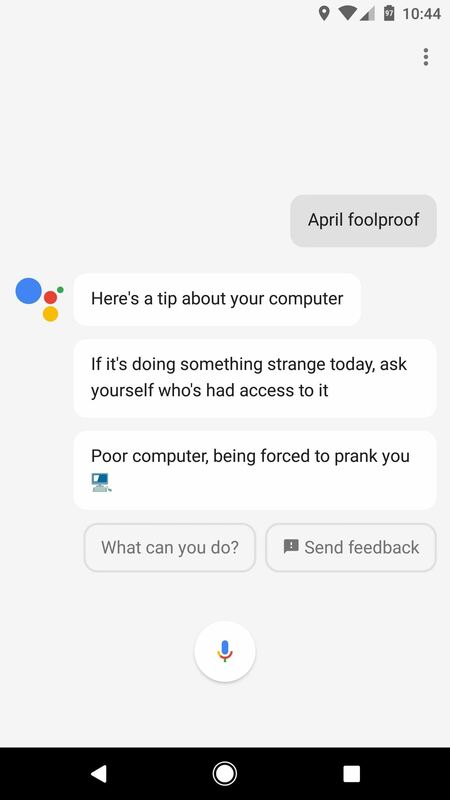 As you can see in the above screenshots, the Google Assistant offers a few tips to help you avoid getting pranked when you say "April Foolproof." Nothing groundbreaking, but with Google's track record on April Fools' jokes, it's nice to see them taking the side of the prankee rather than the prankster this time. Meanwhile, some Reddit users utilized the initial thread to poke fun at Google Assistant's features (or lack thereof). "Oh and they finally added reminders and calendar integration to Google Home's Assistant!" wrote danielhickman, followed by the quip "April fools." In fairness to the Assistant, there have been new features incorporated this year, like the If This, Then That (IFTTT) automation platform. IFTTT connects the Assistant to other devices and online services, meaning that trigger phrases can post things to Facebook or Twitter, or just about anything you'd want. Cover image and screenshots by Dallas Thomas/GadgetHacks.